I’m Max (short for Maxine) and I am the founder of Horse Charming. I am based in the Scottish Borders in the UK in the village of Ashkirk, between Selkirk and Hawick, where my husband Bryan Jones and I have a house, a cottage and a stable yard with an outdoor arena, set in around 11 acres of grazing and woodland. We have rooms in the house and cottage available for visiting students. You can contact me on Max@Horse-Charming.com, on Facebook or by phone on either 01750 32725 or 07814 107501. I’ve been in love with anything equine for as long as I can remember – possibly since riding a donkey on Blackpool beach aged about 2 – although I am convinced there is a gene for it! Bryan and I have two horses. Archie is a 23 year old Irish Draught cross Skewbald and Harley is a 12 year old Palomino American Quarter Horse. As an older horse, Archie is kept moving and fit through regular light exercise and physiotherapy. He loves to go out for trail rides / hacks and walks with me and horse friends. I have been teaching people and training horses on a freelance basis since 2007. Over my many years spent having riding lessons, taking adventure riding holidays abroad, studying with a wide array of horse trainers, owning and training my own horses and helping people with their own horses, I have probably studied pretty much every way there is of communicating with and motivating horses. Like many in this position, I spent some time looking for solutions in natural horsemanship methods as part of my development, and have since moved on. The turning point, and my shift from aversive (pressure-based) methods to aspiring to use only force-free, science-based ways of managing and training horses came after I studied the psychology of how all animals learn, with Dr Jenifer Zeligs, on an intensive short course at the University of California, Santa Cruz in 2011. Having my early interest in rewards-based training rekindled on this course, and working out in my own mind what to keep and what to discard from my earlier experiences with horse management and training, I gradually transformed my way of teaching horses and people to incorporate much more evidence-based material on how horses live and learn, and to aspiring to using well evidenced, force-free, rewards-based protocols and techniques with equines. 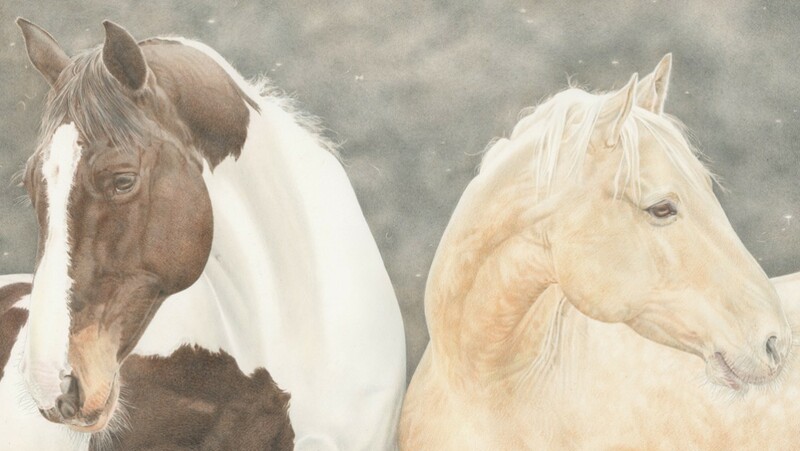 As part of that process, I’ve studied with Shawna Karrasch, Hannah Weston and Rachel Bedingfield of Connection Training, and with Dr Helen Spence of Helen Spence Horse Sense. Helen is one of the very few Psychology PhD’s teaching horse training to people, and you can read Helen’s really thought provoking blog here: Clicker Happy Horse. In the wider world of force-free animal training education, I’ve attended fabulous courses with Barbara Heidenreich, I’ve done the Living and Learning with Animals short course with Dr Susan Friedman, Professor of Psychology at the University of Utah – her website has some great animal training resources at http://www.behaviorworks.org and workshops with Thad Lacinak and Angie Milwood of Precision Behaviour. In 2015 and 2016 I’ve spent time with Ken Ramirez on his course on more advanced training techniques. Ken now heads up the Karen Pryor organisation. I’ve attended every one of the International Animal Training Conferences held locally to me at Twycross Zoo, produced in collaboration with the USA based Animal Behaviour Management Alliance. Those have been attended by trainers of many different species – domesticated as well as wild and exotic and those have been incredible opportunities to see the best of the best animal trainers of all species from all over the world. The 2016 conference keynote speaker was Steve Martin, the mastermind behind the organisation Natural Encounters. I’ve done a chicken camp with Chirag Patel of Domesticated Manners and in early 2016 I was lucky enough to be able to attend a “Training Thoughtfully” seminar with dog trainer Kay Laurence, horse trainer Alexander Kurland, and Associate Professor Dr Jésus Rosalez Ruis, from the Department of Behavior Analysis at the University of North Texas. I enrolled with the Natural Animal Centre to do their Equine Behaviourist course and will be completing that qualification in 2018. These days, because positive reinforcement training is being deployed with many different species of animal, all of these animal trainers from very diverse backgrounds are able to share and learn from each other, because all species of animals actually learn in the exact same ways. As a consequence of that exposure to a diverse range of animal trainers, my style is far from a pure “behaviourist”, mechanistic, cook-book or clinical approach. I do strongly believe that it helps people enormously if they understand the theory behind how both they and their animals learn, in order to keep, communicate with and motivate animals well. I have a flexible and experimental style because I want a relationship of friendship with my animals, not to simply own obedient robots, and I think this is what most of my students want too! So it’s important to me that there is some interplay between human and horse and that we are learning and exploring ways to get things done in a way that involves a conversation that is two way. My philosophy is that where there is reliable science available we should follow the science, but just because we do not yet have a scientific explanation for something does not mean it is not happening. We might just not have been smart enough to work out how to measure it yet! The key is to be objective as possible in our observations and the one thing that behaviour science does enable us to do is to measure results. As well as explaining to people how to get the behaviours they want, I also like to help people to understand how some of the unwanted behaviours they may be seeing from their horse might have come about. I do this because I think that if we know, or can reliably deduce what has given rise to a behaviour, we can avoid triggering it again. I also find that helping people to understand why horses do what they do builds empathy for the horse. Overall I like to help people to understand horses and why they make the behavioural choices we see. I like to show people how we can motivate horses to do things that are in the interests of the horse and their human, and to give people more choice about how to deal with unwanted behaviours or to improve the well-being of their horse. Many people have come to believe that using aversives and negative reinforcement (pressure and relief) to get the horse to do what they want, or being ready to correct unwanted behaviour, or throwing the horse in the deep end and leaving him to get over frightening experiences on his own, are their only options. Far from it. It is a delight to introduce rewards-based training and stress-free confidence-building, and perception-changing techniques for horses, ponies, mules and donkeys to people who have never encountered these ways of training equines before, and who are committed to putting the needs and desires of their animal first. If you don’t even know that another way exists, or how the way you teach your horse now really feels for the horse, you cannot make informed choices about how to build the trust and confidence of a horse and maximise his or her potential for whatever role you have in mind for that horse in your life. So my aim is to empower people with knowledge of the full range of choices and possibilities that exist for how they can manage and train their equine partner and to convince them to choose those that the horse would choose for herself.